The peroneals are a pair of strong tendons which pass along the outside of the ankle and along the side of the foot. The peroneus brevis tendon joins at the base of the fifth metatarsal bone. The tendons are important stabilisers of the ankle joint and resist rolling of the ankle. 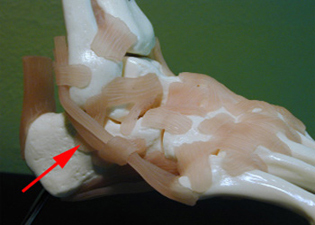 Their role is especially important after ankle sprains as they replace the role of the ankle ligaments. Due to trauma and wear-and-tear, the peroneal tendons can become inflamed and occasionally develop slip tears. The tears in the tendons can cause pain and swelling and can significantly limit activity. 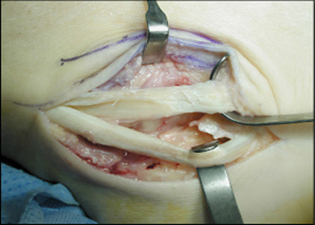 Non-operative treatment with bracing and medication can alleviate some of the pain, however some patients require surgery to either repair or replace the worn-out tendon.